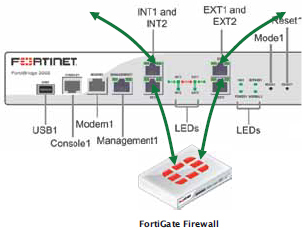 The FortiBridge-2002 appliances provides bypass functionality to FortiGate consolidated security systems. Operating in transparent mode during normal operation, these appliances automatically bridge network traffic in the event of a system failure or power outage to ensure mission critical network continuity. 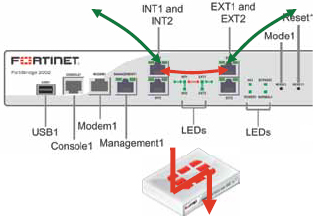 The FortiBridge-2002 appliance provides eight 10/100/1000 interfaces for fail-to-wire bypass protection.